Dr. Ross Baldick is a Professor in the Department of Electrical & Computer Engineering at The University of Texas at Austin and holds the Leland Barclay Fellowship in Engineering. He received his B.Sc. and B.E. degrees from the University of Sydney, Australia and his M.S. and Ph.D. from the University of California, Berkeley. From 1991-1992 he was a post-doctoral fellow at the Lawrence Berkeley Laboratory. In 1992 and 1993 he was an assistant professor at Worcester Polytechnic Institute. Dr. Baldick has published over seventy-five refereed journal articles and has research interests in a number of areas in electric power. 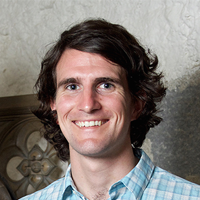 His current research involves optimization, economic theory, and statistical analysis applied to electric power system operations, the public policy and technical issues associated with electric transmission under electricity market restructuring, the robustness of the electricity system to terrorist interdiction, electrification of the transportation industry, and the economic implications of integration of renewables. His book, Applied Optimization, is based on a graduate class, “Optimization of Engineering Systems” that he teaches in the electrical and computer engineering department at The University of Texas. He also teaches a three-day short-course “Introduction to Electric Power for Legal, Accounting, and Regulatory Professionals” and a one-day short-course “Locational Marginal Pricing” for non-technical professionals in the electricity industry. He is a former editor of IEEE Transactions on Power Systems and former chairman of the System Economics Sub-Committee of the IEEE Power Engineering Society Power Systems Analysis, Computation, and Economics Committee. Dr. Baldick is a Fellow of the IEEE and the recipient of the 2015 IEEE PES Outstanding Power Engineering Educator Award. Elaina Ball was promoted to Deputy General Manager and Chief Operating Officer Oct. 31, 2016. She served as Interim Chief Operating Officer beginning in late 2015. 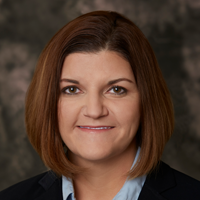 Ball served as Vice President of Power Production since October 2013, and joined Austin Energy in September 2012 as the Decker Creek Power Station plant manager, where she focused on plant operations improvements and employee engagement. Ball came to Austin Energy from CPS Energy in San Antonio, where she served most recently as the vice president of Technical Services & Energy Solutions, leading a team of more than 300 employees involved in transmission, substation, and distribution engineering, as well as smart grid and demand response programs. In addition to her electric utility experience, Ball has experience in quality improvement and process optimization in the chemical industry. Ball has a Bachelor of Science degree in chemical engineering from The University of Texas at Austin and attended the University of Idaho Utility Executive course. Dr. Beach is the Assistant Director for Energy & Technology Policy at the Energy Institute. He is responsible for conducting research and supervising studies related to the development of Energy Policy, Environmental Policy, and Technology Policy. Dr. Beach also teaches Energy Technology Policy and International Energy Policy in the Cockrell School of Engineering and McCombs School of Business. Prior to joining The University of Texas at Austin, Dr. Beach served for 25 years in the U.S. Navy, where he was a qualified Submariner, Naval Aviator, Surface Warfare Officer, and Acquisition Professional. Since retiring in 2003 he has served as a consultant on defense-related topics for the U.S. Chief of Naval Operations Strategic Studies Group, MITRE, Naval Research Advisory Committee, Naval Research Laboratory, Defense Advanced Research Projects Agency, and the Defense Science Board. Dr. Beach holds a Ph.D. from the LBJ School of Public Affairs, University of Texas at Austin; an M.S. in Physics from the Naval Postgraduate School; and a B.S. in Chemistry with a minor in Nuclear Engineering from the University of Oklahoma. 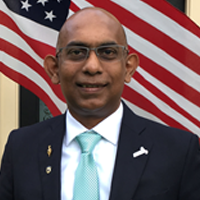 He is also a graduate of the Defense Acquisition University and Certified Level III DoD Acquisition Professional and Program Manager. Melanie Bell is IT Strategist, Chevron Information Technology Company. She earned a BS in Applied Mathematical Sciences from Texas A&M University. She started her career as a seismic data processor for Western Geophysical. In 1991, she joined Chevron in the Gulf of Mexico Business Unit holding positions in technical data management and application support. She has also held positions in the Australia and Angola business units supporting information and data management practices for exploration, asset development and production operations and in the central technology organizations developing new information technologies via strategic research programs. Matthew Bey is an energy and technology analyst for Stratfor, where he monitors and tracks a wide range of global issues and trends. In particular, he focuses on energy developments in Africa their impact on the geopolitical constraints of African countries. Mr. Bey has worked on numerous projects, including assessments and forecasts of the global effects of expanding shale gas production, China’s demand for and consumption of iron ore and steel, and the prospects for increased U.S. energy independence. Mr. Bey is a native of Houston, Texas. He holds a bachelor’s degree from Texas Lutheran University and a master’s degree in mathematics from the University of Texas. 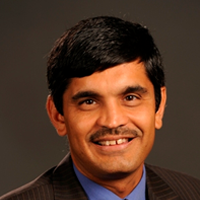 Dr. Chandra R. Bhat is the Director of the Center for Transportation Research (CTR) and the Joe J. King Chair in Engineering at The University of Texas at Austin, where he teaches courses in transportation systems analysis and transportation planning. He also served as the Associate Chairman of the Department of Civil, Architectural and Environmental Engineering. Dr. Bhat is recognized nationally and internationally as a leading expert in the area of travel demand modeling and travel behavior analysis. 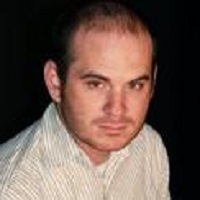 Luc Boyer is Economic Counselor in Houston, he is responsible for energy economic and business intelligence US-wide. Luc graduated from Marburg University (Germany) in political sciences -1984-, Science-Po Grenoble in economy and finance -1987-. Luc has a master degree from UC-Berkeley (international relations middle-east studies)-1988-, from INALCO and Damascus university (Arabic). He also attended a semester of energy economics at the Institut francais du pétrole. 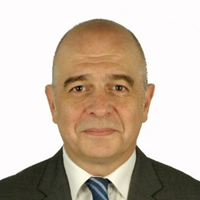 He joined the French ministry of industry in 1989 and the French Treasury in February 1991. His career was mainly focused on energy, middle eastern, economic development and financial security issues. 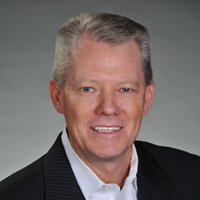 Dale W. Bradford is Vice President, Worldwide Drilling and Services for Murphy Exploration and Production Company. Based in Houston, Dale leads three global functions: Drilling, Supply Chain, Oil and Gas Marketing. Dale has substantial experience in the drilling and upstream oil & gas industry having worked in the sector for 23 years. Since joining Murphy in 2007, Dale has held a variety of roles including Senior Drilling & Completions Manager (Kuala Lumpur, Malaysia), General Manager of Southeast Asia Operations, and General Manager, International Drilling & Completions. Prior to joining Murphy, Dale was with BHP Billiton Petroleum, BP Americas, and Amoco Production Company. 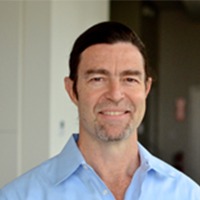 Dale holds a Bachelor of Science in Mechanical Engineering from the University of Texas at Austin and has completed the Executive Program at Stanford University Graduate School of Business. Dale is a member of the Society of Petroleum Engineers and the International Association of Drilling Contractors. Jim started with the City in 1986 as the Public Works Staff Engineer. He later served as the City’s Director of Community Owned Utilities until 2000 when he was promoted to the position of ACM/Utility Operations. Responsible for the strategic planning for the utility, Jim has guided the utility through years of high growth as well as times of economic recession; each economic period with its own complexities and challenges. Throughout his career, Jim has served as a representative to state and regional utility planning boards, professional and trade associations. Jim is a graduate of Texas A&M University, with a Bachelor’s Degree from the College of Agricultural Engineering in Mechanized Systems. Working for the City of Bryan Engineering Department while attending Texas A&M University, Jim acquired a solid background in issues related to the municipal utility field. After graduation, Jim spent time in the commercial construction industry in Houston before coming to Central Texas. Jim has earned his certification as a Certified Water Operator and Public Power Executive from the American Public Power Association. 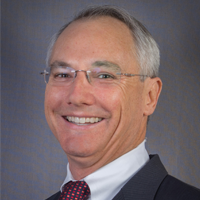 Jim serves currently as a board member and past President of the Texas Public Power Association and the Association of Wholesale Customers of the Lower Colorado River Authority. He also serves as Treasurer to Public Power Incorporated (Hometown Connections), a for profit affiliate of American Public Power Association. Spending time on volunteer efforts, Jim serves on the Board of Directors of Georgetown’s Community Spotlight. He has served as Treasurer of Williamson County Emergency Services District #8 and with numerous other local service organizations. Jim and his family are members of the First Presbyterian Church Georgetown. 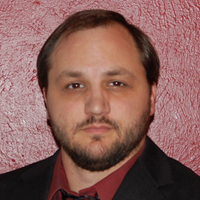 Dr. David Castiñeira is a technology leader with over 10 years of experience. He was previously the leader of the Quantum Analytics group at QRI, and prior to that he worked as a co-leader of the Innovation Group. Before becoming VP of Technology and Automation, Dr. Castiñeira spent 2 years at Harvard and MIT conducting research on new computational models and machine learning techniques (with direct applications to earthquake predictions and Alzheimer disease’s evaluations). Before joining QRI, Dr. Castiñeira worked for the R&D department at Shell International Exploration and Production Inc., where he developed and applied new quantitative analytical methods for reservoir management. During his career, he has worked on multidisciplinary, multinational teams of engineers and geophysicists who added value to different geologically complex fields in the US, Mexico, Kuwait, China, Nigeria, Malaysia, and North Sea. 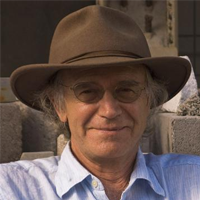 Richard received his undergraduate degree in geology from Cornell and his Masters degree from the University of Texas. He retired from ExxonMobil in 2015 as an executive with a 35-year career. He has broad experience in minerals (base and precious metals), coal, oil and gas exploration, development, research and management, including a corporate assignment as upstream strategic advisor to the Management Committee and CEO. Richard worked in basins and has participated in discoveries around the world in deepwater and onshore (unconventional and conventional resources). He was recently appointed as the Director of the Energy and Earth Sciences (EER) graduate program and the Leslie Bowling Professor in Geological Sciences at the University of Texas-Austin. EER is a multidisciplinary program administered by the Jackson School of Geosciences with faculty from the Cockrell School of Engineering, the McCombs School of Business, and the LBJ School of Public Affairs and the School of Law. 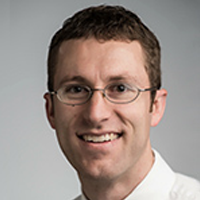 Wesley Cole is an electricity sector modeler and analyst in the Energy Forecasting and Modeling Group at the National Renewable Energy Laboratory (NREL). His work focuses on capacity expansion modeling of the U.S. power system. Within this domain, he specializes in renewable energy integration, battery storage market potential, and impacts of high solar penetration futures. He earned his Ph.D. at the University of Texas at Austin and his B.S. at Brigham Young University, both in chemical engineering. 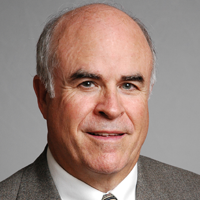 James R. Courtier joined Laredo in August 2014 as Vice President—Exploration and Geosciences Technology. Prior to joining Laredo, Mr. 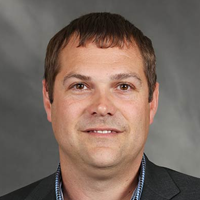 Courtier spent eight years at Hess Corporation, most recently as Regional Subsurface Manager—Bakken, with prior roles in exploration management and strategic planning. Prior to Hess, Mr. Courtier spent 10 years at ConocoPhillips as a senior geophysicist. Mr. Courtier holds a Bachelor of Science in Applied Geology from University of Leicester and a Master of Science in Basin Evolution & Dynamics from Royal Holloway, University of London. 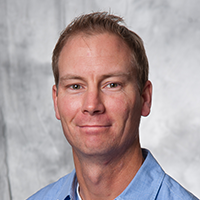 Dr. Todd Davidson is a Research Associate in the Energy Institute and the Webber Energy Group at the University of Texas at Austin. Todd’s research is focused on a variety of topics at the confluence of energy technology and economics. His work has analyzed the technoeconomic opportunities of integrating renewable energy resources with industrial processes, emerging solutions for personal transportation, improving wastewater treatment and flare gas management at oil and gas production facilities, and novel energy storage solutions for next generation automobiles & grid-applications. 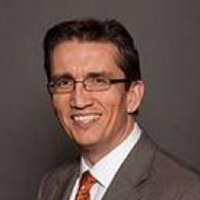 Prior to joining UT Austin, Todd was the CEO of nCarbon, Inc., a company focused on the commercialization of advanced supercapacitor electrodes. Todd started his career working for Raytheon where he helped to design and deploy four different missile defense product lines. 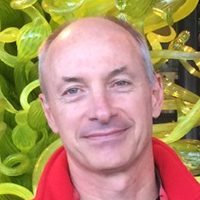 In addition to his research, Todd has taught fluid mechanics in the Department of Mechanical Engineering and guest lectures on entrepreneurship at UT Austin. He received a BS in Engineering Science from Trinity University and an MS and PhD in Mechanical Engineering from UT Austin. 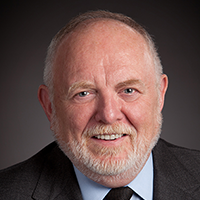 Professor Thomas F. Edgar, a chemical engineer who has been on The University of Texas at Austin faculty for more than 40 years, serves as the director of the Energy Institute. Edgar holds the George T. and Gladys H. Abell Chair in Chemical Engineering. He received his B.S. in chemical engineering from the University of Kansas and the Ph.D. from Princeton University. He served as Department Chair of Chemical Engineering (1985-93), Associate Dean of Engineering (1993-96), and Associate Vice President for Academic Computing (1996-2001) at UT Austin. For the past 40 years, Edgar has concentrated his academic work in process modeling, control, and optimization. He has published over 450 articles and book chapters. He has supervised the thesis research of over 45 M.S. and 80 Ph.D. students. Edgar has co-authored the textbooks Coal Processing and Pollution Control Technology (Gulf Publishing, 1983), Optimization of Chemical Processes (McGraw-Hill, 2001) and Process Dynamics and Control (Wiley, 2010). He was President of the American Institute of Chemical Engineers (AIChE) in 1997. He is board secretary of Pecan Street Inc. in Austin, Texas, which deals with renewable energy and smart grids. He is a member of the National Academy Engineering. Dr. Edgar’s current energy research covers renewable energy, combined heat and power, energy storage, and improved oil recovery. In the area of teaching, Edgar initiated a popular engineering elective, “Energy Technology and Policy,” in 2005 and has co-taught a similar signature course for students outside of engineering. Jason Feer is the Global Head of Business Intelligence at Poten & Partners Prior to joining Poten in 2014, served as COO Americas for Argus Media based in Houston starting 2011, and from 2003 through 2011 as the head of Argus’ Asia Pacific business, where he was responsible for managing Argus’ business East of the Suez Canal. In this role, he oversaw the development of new products focused on petroleum, LNG, LPG, coal, base oils, biofuels and other products. With more than 25 years’ experience in global energy markets, Jason has worked in Asia, Latin America, Europe and the US. His specialties include markets, project development and the politics of oil. He is a frequent commentator on oil affairs and has appeared on CNBC, the BBC and other television and radio outlets. 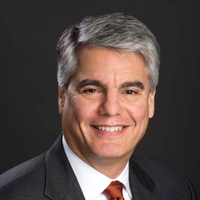 Gregory L. Fenves is the 29th president of The University of Texas at Austin. Before he became president in 2015, he served the university as executive vice president and provost and as dean of UT’s Cockrell School of Engineering. For his research and teaching, Fenves was elected to the National Academy of Engineering in 2014, the highest recognition for an engineer in the United States. He holds the Cockrell Family Chair in Engineering #15 and the Ed and Carolyn Hyman Presidential Leadership Chair at UT Austin. As president, Fenves has prioritized student success. By introducing and expanding mentoring programs and incentive-based scholarships targeted to help students who need it most, UT Austin’s graduation rates are now at record high levels. His administration has strengthened the impact of longstanding research efforts while investing in groundbreaking new programs and facilities, including the Dell Medical School, which welcomed its first class in 2016 and is central to the university’s efforts to transform health education and health care delivery. Diversity and inclusion are cornerstones of Fenves’ vision for higher education. In 2015, his administration successfully defended UT Austin’s admissions practices before the US Supreme Court. The landmark ruling in the Fisher v. University of Texas at Austin case enabled UT Austin to continue recruiting diverse student bodies, reflective of a wide range of backgrounds and experiences. Fenves continues to spur innovation in higher education by advancing interdisciplinary collaboration, the integration of teaching and research and the continued evolution of student learning — both inside and outside of the classroom. He has also launched efforts to expand UT’s global reach and international opportunities for students and faculty. Fenves earned his bachelor’s degree from Cornell University and a master’s degree and Ph.D. from the University of California, Berkeley. He began his career in 1984 as an assistant professor in UT’s Department of Civil Engineering. He then served more than 20 years on the faculty of the University of California, Berkeley, where he became an internationally renowned expert on structural engineering for earthquakes. Currently the Manager of Resource Planning and Integration for the City of Georgetown, and has served in the capacity since 2008, with a primary role of managing the City’s Municipally Owned Utility power supply. Chris is a graduate of Georgetown High School, holding a bachelor’s in Economics/Finance from the University of Mary-Hardin Baylor, and a Master’s in Public Administration from Texas State. Chris is also a Certified Government Finance Officer through the Government Finance Officers Association. Chris is best known for orchestrating the successful transition of Georgetown’s power supply from a single provider that was over 90% fossil fuel based, to being 100% wind and solar powered by April of 2017. Outside of energy Chris acts as the City’s economist and lead contract negotiator including water rights, garbage contracts, power agreements, etc. Chris is married with three kids. His dissertation titled “Does Proximity Matter? Measuring the effect green space has on residential water consumption,” and can be found in the Texas State MPA ARP archives. Aaron is General Manager of Lyft for Central Texas. He joined Lyft after several years at Dell, where he held roles in online operations and merchandising. 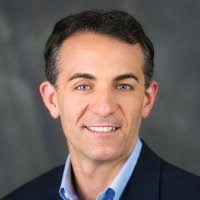 Prior to Dell, Aaron worked at Bain and Company, a management consulting firm. 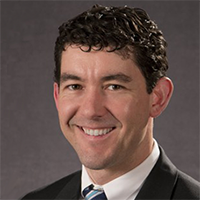 Aaron is a graduate of the University of Texas at Austin and received his MBA from Goizueta (Emory) Business School. He resides in Austin with his wife and three young sons and is an aspiring triathlete. J. Corey Grindal is Vice President of supply at Cheniere Energy. He joined Cheniere in 2013 and is responsible for the gas and power supply at Cheniere’s facilities. This includes acquiring and managing transportation capacity, enabling and managing the relationships with suppliers and markets, buying and hedging the required commodity, and managing any load disruptions. He has more than 20 years of experience in engineering and project management, operations, energy trading and risk management. Prior to joining Cheniere, Mr. Grindal was with Deutsche Bank managing physical and financial trading for their natural gas business. Prior to Deutsche Bank, he worked with Louis Dreyfus and the Tenneco/ El Paso regulated natural gas pipelines. Mr. Grindal received his Bachelor of Science in Mechanical Engineering with Honors from The University of Texas. Bert is Pecan Street’s CTO. He has been working in technology and product development since starting his career in 1984 with Eastman Kodak, where he worked for 5 years as an electronics manufacturing process development engineer while earning his master’s degree in mechanical engineering from the University of Rochester. Bert then worked for 9 years at the Microelectronics and Computer Technology Corp. (MCC) in Austin, concluding his tenure there as vice president of portable electronics product research. 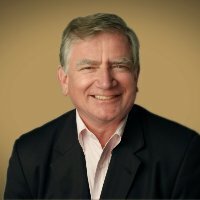 Since 2000, he has held product development, product marketing and advisory rolls at a number of start-up companies including Stellar Display Corporation, Wireless Age, Motion Computing, Portelligent and most recently, Heliovolt, where he was director of product development for CIGS based thin-film photovoltaic modules. Dr. Robert Hebner is the Director of the Center for Electromechanics. The Center develops advanced technology, generally in the areas of power and energy, and teams with companies to get the technology into the market. Prior to joining UT, Dr. Hebner was the acting Director of the National Institute of Standards and Technology (NIST), He also served as Deputy Director of NIST and the Director of NIST’s Electronics and Electrical Engineering Laboratory. 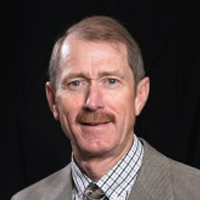 Dr. Hebner also worked in the Office of Management and Budget, at Sandia, and at the Advanced Research Projects Agency of the Department of Defense. Throughout his career, Dr. Hebner has been active in technical activities having received a Ph.D. in physics and having authored or coauthored more than 115 technical papers and reports. He is a past vice president for technical activities of the IEEE, a 400,000+ member engineering society. He is a Fellow of IEEE, a Member of American Physical Society, a Member of American Association for the Advancement of Science. Awards he has received include the U.S. Department of Commerce Gold, Silver, and Bronze Medals and the 1990 Harry Diamond Memorial Award. In addition to providing strategic counsel to Factom, David is the Managing Director of the Dapps Venture Fund, the first fund to invest entirely in open-source, block-chain and token-based projects. He also co-founded and served as Executive Director of BitAngels in 2013, one of the world’s largest angel investment groups. An avid entrepreneur and early adopter of emerging technologies, David has founded several enterprises in industries ranging from software to biotech. Alex Keros works on advanced technology policy for General Motors (GM). In this role, he is responsible for policy considerations related to GM’s advanced technology programs – including Maven, GM’s urban mobility brand – and the infrastructure necessary to support a broad range of sustainability programs. His goal is to help cities minimize the impacts of transportation while making the vehicle miles driven cleaner and safer. Keros has a unique balance of backgrounds which include project management, energy policy, environmental engineering, and business strategy. In 2016, Keros was named to the inaugural class of Energy Security Fellow for Securing America’s Future Energy (SAFE). Dr. Carey W. King performs interdisciplinary research on how energy systems interact within the economy and environment, and how competing factors affect societal decisions and tradeoffs and policy development. Dr. King’s research goals center on rigorous interpretations of the past performance of energy systems to determine the most probable future energy pathways. In addition to his role as Assistant Director at the Energy Institute, Dr. King is a Research Associate with the Center for International Energy and Environmental Policy within the Jackson School of Geosciences. He has both a B.S. with high honors and a Ph.D. in Mechanical Engineering from the University of Texas at Austin. Dr. King has published technical articles in the academic journals Environmental Science and Technology, Environmental Research Letters, Nature Geoscience, Energy Policy, Sustainability, and Ecology and Society. He also has written commentary for Earth magazine on the interactions of water, energy and economics. Dr. King has three patents as former Director for Scientific Research at Uni-Pixel Displays, Inc.
Karl graduated from The University of Texas at Austin, where he received his PhD in Materials Science researching advanced battery technologies. Prior to attaining his PhD, Karl worked at Southwest Research Institute where he started the Energy Storage System Evaluation and Safety (EssEs) consortium which performed testing, characterization, and research on large format lithium ion batteries for >10 kWh energy storage. The EssEs consortium had 12 industry members from 3 continents with a budget of more than $3mm. Before joining full time, Karl served as a subject matter expert advisor for the Energy group at ConsenSys. He is now the Director of Energy at ConsenSys and is a Cofounder of Grid+. Biofuels – Promising Alternative or a Broken Promise? Dr. Todd Kuiken is a Senior Research Scholar with the Genetic Engineering and Society Center at NC State University where he explores the scientific and technological frontier, stimulating discovery and bringing new tools to bear on public policy challenges that emerge as science advances. He has numerous projects evaluating and designing new research and governance strategies to proactively address the biosafety, biosecurity and environmental opportunities/risks associated with emerging genetic technologies. He previously was the principal investigator on the Woodrow Wilson Center’s Synthetic Biology Project. In September 2016 he received a grant from the Robert Wood Johnson Foundation to enable the fast-growing ecosystem of “DIY” health innovators to develop a culture of responsibility that reflects its pluralistic and open-source ethos. In addition, he is collaborating on a project to ensure safety and security within the rapidly expanding community of amateur biologists and the growing network of community laboratories and maker spaces. The initiative is evaluating the current capabilities of the community and developing programs around the potential biosafety and biosecurity threats associated with such a diffuse community. Dr. Kuiken is a member of the United Nations Convention on Biological Diversity Ad-Hoc Technical Expert Group on Synthetic Biology. In addition, he is working with the United Nations Treaty for Plant Genetic Resources for Food and Agriculture to assess how changes in science and technology, mainly de-materialization and digitization of data, will affect the structure, function and viability of the Treaty. He is also a member of the human practices committee of the International Genetically Engineered Machines competition and a founding member of its biosafety/biosecurity committee. Dr. Kuiken has provided expert testimony in front of the U.S. National Security Agency Advisory Board, the U.S. National Academies of Science, the United Nations Bioweapons Convention, the Organization for Economic Co-operation and Development, has been featured on NPR’s Science Friday, and is a regular speaker on public policy issues related to nanotechnology and synthetic biology. After completing his B.S. in Environmental Management and Technology at Rochester Institute of Technology he worked directly with renowned scientists on the biogeochemical cycling of mercury at the Oak Ridge National Laboratory. He earned an M.A. in Environmental and Resource Policy from The George Washington University concentrating on the scientific, economic and community development aspects of environmental issues. While there he worked at various environmental non-profits including the National Wildlife Federation where he worked within the Clean the Rain campaign that dealt with the environmental and public health threats associated with mercury pollution. Dr. Kuiken earned his Ph.D. from Tennessee Tech University where his research focused on the air/surface exchange of mercury associated with forest ecosystems. As part of his dissertation he synthesized these results with other studies associated with mercury cycling, public health threats and policy alternatives to bring attention to the threats and need for an improved public policy dealing with mercury pollution. David Livingston is a Deputy Director in the Global Energy Center of the Atlantic Council, where he leads the Center’s work on climate and advanced energy. He is also a fellow of the Initiative for Sustainable Energy Policy at Johns Hopkins University. Previously, Livingston served as a fellow at the Carnegie Endowment for International Peace, and as the inaugural Robert S. Strauss fellow for geoeconomics at the Office of the United States Trade Representative, where he concluded as acting Assistant U.S. Trade Representative for Congressional Affairs. He also has worked at the World Trade Organization in Geneva and at the United Nations Industrial Development Organization (UNIDO) in Vienna. Livingston was selected as a Future Energy Leader by the World Energy Council, is an alumnus of the Atlantik Brücke Young Leaders Program, and serves on the advisory board of South by Southwest (SXSW) Cities and a number of social enterprise start-ups. Alan C. Lloyd is currently a Senior Research Fellow at the Energy Institute, University of Texas at Austin. The focus of his research is the role of hydrogen in a sustainable society, fuel cells, electric drive vehicles, renewable energy and policies to promote zero emissions vehicles. 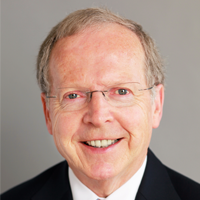 Dr. Lloyd served as the President of the International Council on Clean Transportation from 2006 until 2013. He is one of the founding members of the ICCT. 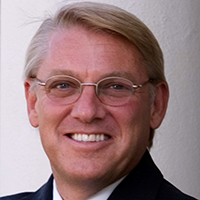 Dr. Lloyd served as the Secretary of the California Environmental Protection Agency, appointed by Governor Arnold Schwarzenegger in December 2004. Dr. Lloyd served as Chairman of the Air Resources Board, California Environmental Protection Agency, State of California, appointed by Governor Gray Davis in February 1999 and re-appointed by Governor Arnold Schwarzenegger in August 2004 before his appointment to Secretary. Prior to joining CARB, Dr. Lloyd was the Executive Director of the Energy and Environmental Engineering Center for the Desert Research Institute at the University and Community College System of Nevada, Reno, and the chief scientist at the South Coast Air Quality Management District from 1988 to 1996. Dr. Lloyd’s work focuses on the viable future of advanced technology and renewable fuels, with attention to urban air quality issues and global climate change. He is a proponent of efficiency, alternate and renewable fuels, and electric drive and fuel cell vehicles eventually leading to a zero emissions transportation system. Dr. Lloyd earned both his B.S. in Chemistry and Ph.D. in Gas Kinetics at the University College of Wales, Aberystwyth, U.K.
Dr. Schonna Manning is a phycologist, molecular biologist, and natural products chemist at the University of Texas at Austin. 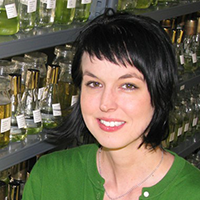 She is a Research Assistant Professor in the Department of Molecular Biosciences, Director of R&D for the UTEX Culture Collection of Algae (UTEX CCA), and a Research Fellow with UT’s Center for Systems and Synthetic Biology. Dr. Manning’s research exploits the biochemical diversity of microalgae for the production of materials, fuels, feedstocks, and specialty chemicals. Ajay Mehta has worked at Shell for 21 years mainly in its exploration and production division. He leads a global group of engineers, scientists and researchers dedicated to developing more and cleaner energy solutions for the future. 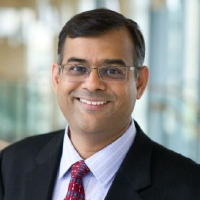 Ajay holds a BS in Chemical Engineering from the National Institute of Technology, Karnataka, India, a PhD in Chemical Engineering and Petroleum-Refining from the Colorado School of Mines, and an MBA from the Massachusetts Institute of Technology, Sloan School of Management. He spent his first decade at Shell working on Deepwater projects worldwide, first as a Research Scientist, then as a R&D Team Leader and finally, as a Research Manager. In recognition of his subject matter expertise in gas hydrates, he served as a Distinguished Lecturer for the Society of Petroleum Engineers. Ajay subsequently assumed assignments in production operations, project engineering and general management, including postings in Malaysia and New Orleans. Prior to his current role, he was an Engineering Manager in Shell’s Deepwater Projects division and his group was accountable for de-risking subsea technologies. In 2016, he returned to R&D to assume the role of General Manager – Long Range Research and New Energy Technologies. 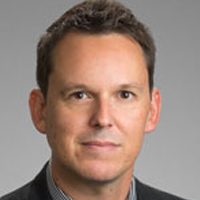 Michael W. Mosser is a Lecturer in the Department of Government, International Relations and Global Studies, and at the Center for European Studies at the University of Texas at Austin. He previously served as a visiting Assistant Professor of Political Science at Southwestern University in Georgetown, TX and as the Associate Director of the European Union Center of Excellence. From June 2009 to May 2010, he was the initial military/education liaison for the Strauss Center’s “Climate Change and African Political Stability” grant funded by the US Department of Defense’s Minerva Initiative. From 2006 to 2009 he was an assistant professor at the US Army School of Advanced Military Studies (SAMS) at Fort Leavenworth, Kansas, where he taught international relations, security studies, and comparative foreign policy of Western Europe. From 2001 to 2006, he served as Assistant Dean in the Graduate School and Office of International Programs at the University of Kansas. He has published articles in the fields of military art and science and military sociology, and is presently co-authoring a textbook on international organizations. 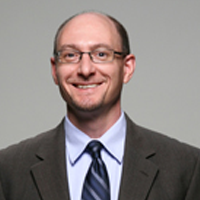 Dr. Mosser earned his PhD in political science in 2002 from the University of Wisconsin – Madison. 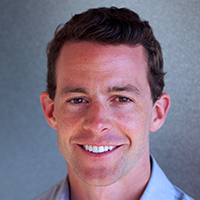 Eric is a market research analyst at the National Renewable Energy Laboratory and a PhD candidate at the Nelson Institute for Environmental Studies at the University of Wisconsin-Madison. 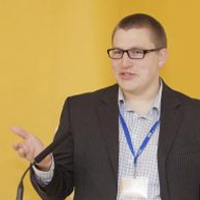 His research focuses on residential solar PV markets, with an emphasis on the effects of market structure on prices. Eric’s current research explores how battery storage and home energy management systems can be used to optimize PV system value. Sheila Olmstead received her B.A. From the University of Virginia, Masters from The University of Texas at Austin, and PhD from Harvard University. Her research and teaching interests include environmental and natural resource economics and policy, with a focus on water and energy resources. 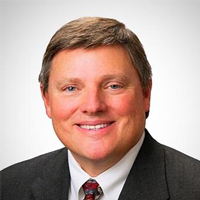 Ken Ragsdale is a Principal at ERCOT and has over 30 years of experience in the electric utility industry, including experience in Market Design and Implementation, Settlements and Billing, Market and Utility Operations, Power Marketing, Resource Planning and Alternative Energy. He has been at ERCOT since 2000 and was part of the start-up teams for the ERCOT Zonal Market and ERCOT Nodal Market. 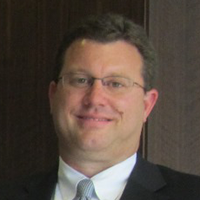 Prior to joining ERCOT, he worked at Austin Energy and at the Public Utility Commission of Texas. He is a Registered Professional Engineer and earned his bachelor’s degree in mechanical engineering from the University of Texas at Austin. Mr. David Ramjohn, a citizen of Trinidad and Tobago, leads AlgEternal Technologies, LLC (AET), a company focused on the sustainable application of microalgae. He aligns AET with human needs for energy, environmental and economic benefits, pursuing sustainable economic activity while reducing dependence on petroleum hydrocarbons. David has adopted the principles of “Conscious Capitalism”, operating AlgEternal in a manner that elevates all humanity. Recognized by the United States Citizenship and Immigration Service as an “alien with extraordinary ability in science and business, sustainable development, and renewable resource management and applications (science)”, he holds a category O-1A visa , reserved for individuals in the top of their respective fields. David holds a B.Sc. in Marine Biology and an M.Sc. in Environmental Studies (Policy and Law), with over 20 years’ experience in sustainable development and environmental and natural resource management. He was awarded the 2004 Bishop Robert Smith Award from the College of Charleston in South Carolina, USA—the highest award given to any graduate of the College, and the 2002 Betty Spence Conservation Award from the South Carolina Wildlife Federation. David belongs to the Phi Kappa Phi Honor Society, the Golden Key Honor Society, and the National Society of Collegiate Scholars. Mr. Ramjohn also appeared in the 2004 edition of “Who’s Who in American Colleges and Universities”. David combines the attributes of a big-picture thinker and detail-oriented leader, able to strategize and innovate, plan and execute. His leadership style is inclusive, adaptable, systems-oriented, performance-based, and people-centric. He focuses on positive culture development, and development of human resources; by increasing human capital he continuously improves the quality and quantity of outputs and consistently meets or exceeds strategic objectives. David views microalgae and their applications as the single greatest opportunity for humans to ensure that planet Earth remains hospitable to our species. David Raney has extensive experience in corporate sustainability and environmental management, product planning, transportation emissions modeling, and products liability management. A native of Oklahoma, Raney earned a bachelor’s degree in mechanical engineering at the University of Oklahoma. His professional career includes diesel engine development work at John Deere’s Product Engineering Center, managing environmental and safety technical affairs at Saab-Scania AB and General Motors, and directing Honda’s North American environmental and energy policy and regulatory product compliance strategy for 18 years. In semi-retirement, David provided consulting services to BP, RAND, and IHS-CERA on transportation related environmental and energy policy, which led to his latest position at Toyota as corporate manager in the Regulatory Affairs and Powertrain Planning division. David was a federal appointee to the Clean Air Act Advisory Committee and a member of EPA’s Mobile Source Technical Research Subcommittee. 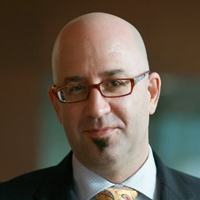 He completed UCLA’s Anderson School Executive MBA program in 2007. Thomas (Tom) W. Schuessler was appointed president of ExxonMobil Upstream Research Company in November 2016. 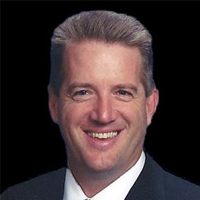 Mr. Schuessler earned a Bachelor of Science in Civil Engineering from the University of Texas before joining Exxon Company, U.S.A. in 1991 in Midland, Texas. From 1991 – 2001, Mr. Schuessler held a number of technical, commercial and supervisory assignments in Texas and Louisiana. 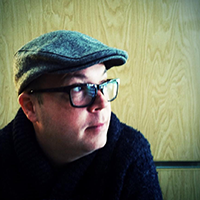 From 2002 – 2005, he held production operations managerial assignments in western Canada. In 2005, he assumed the role of Senior Corporate Planning Advisor at Exxon Mobil Corporate Headquarters. This was then followed by assignments in Malaysia as Deputy Production Manager and in Norway as Lead Country Manager and Managing Director of Esso Norge. 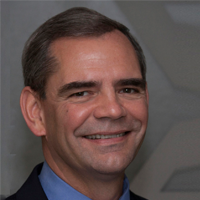 In 2012, Mr. Schuessler assumed the role of ExxonMobil Production Company (EMPC) Engineering Vice President and then became EMPC Vice President Americas in 2014 where he served until assuming his current leadership position with the Upstream Research Company. As president of ExxonMobil Upstream Research Company, Mr. Schuessler is responsible for developing and maintaining an industry-leading array of differentiating and proprietary technologies in support of the Corporation’s global resource pursuit and leadership position in exploration, development, production and gas commercialization. Mr. Schuessler and his wife, Tina, have three children (Matthew, Justin and Bryce). Alison Silverstein is a consultant, lecturer and writer on electric transmission and reliability, infrastructure security, energy efficiency, smart grid, renewable energy, demand response and technology adoption issues. 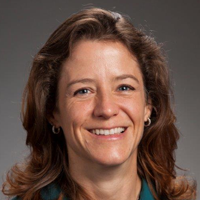 She does extensive work on electric transmission issues for the U.S. Department of Energy, including work as lead author for the Department’s National Electric Transmission Congestion Study. Silverstein serves as project manager for the North American SynchroPhasor Initiative, a collaboration between NERC, DOE and the electric industry, and facilitates the multi-stakeholder Reliability Standards Working Group in Hawaii. She also advises a variety of private and governmental clients on technology, regulatory and other issues. Silverstein is president of the Board of the American Council for an Energy Efficient Economy and serves on the Board of Economic and Environmental Systems of the National Academy of Sciences and the board of the Health Alliance for Austin Musicians. 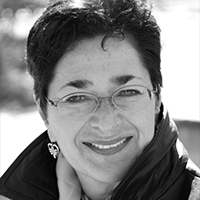 She is a member emeritus of the GridWise Architecture Council. Silverstein worked as senior energy policy advisor to Chairman Pat Wood, III, at the Federal Energy Regulatory Commission (FERC), from July 2001 through July 2004. She was a co-chair of the Electric Systems Investigation for the U.S.-Canada Joint Power System Outage Task Force and principal author of the Interim and Final Blackout Reports. 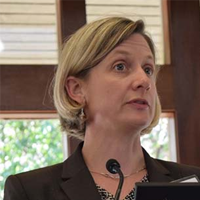 Before moving to the FERC, she worked as advisor to Chairman Wood at the Public Utility Commission of Texas for six years, covering both electricity and telecommunications matters. Silverstein has also worked for Pacific Gas and Electric Co., ICF Inc., the Environmental Law Institute and the U.S. Department of Interior. Silverstein has a Bachelor of Arts in economics from the Johns Hopkins University, a Master of Science in engineering in systems analysis from Johns Hopkins and a Master of Business Administration from Stanford University. She lives with her family near Austin, Texas. 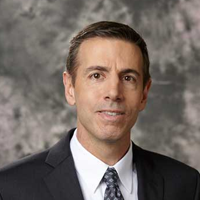 Jim oversees strategic development and implementation of new energy products and services that advance PEC’s performance in meeting wholesale, distribution, and retail energy demands. 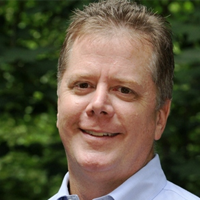 Previously, Jim served as Director of Operations at NRG Energy and Director of Energy Solutions at Siemens Industry US. Robert holds a Bachelor and Master’s of Civil Engineering from the Universities of Texas and Washington and serves as the City of Austin Transportation Director. As the lead mobility professional for the City of Austin, he is responsible for the City’s multi-modal transportation portfolio and SMART City mobility programs and technologies. Under Robert’s leadership, the City of Austin modernized its signal systems and intelligent transport technologies, championed an open data policy that fosters innovation through new smartphone technologies, replaced the City’s parking management system, sponsored a pedestrian and vehicle way-finding system, amongst other achievements. Robert is an experienced transit program planner having worked on a range of related projects for entities including Sound Transit in Seattle and Tri-Met rail and transit in Portland, Oregon. 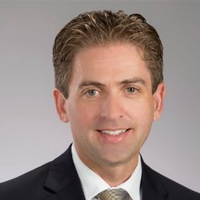 He is also an experienced highway and roadway infrastructure development planner, having led the development of the Katy Freeway Reconstruction Major Investment Concept and serving as the public outreach lead on the Dome-to-Downtown Light Rail project in Houston. In Seattle, his mobility planning and oversight additionally allowed for transformative projects including the approval of the Seattle Trolley, continuous transit-only lanes on Aurora North, removal of the Aurora Viaduct (under construction), expansion of the regional park-and-ride system, and reconfiguration of many of the primary roadways feeding downtown. Kurt Stogdill currently works for Austin Energy as the Manager for Green Building and Sustainability, a workgroup that also includes the Electric Vehicles and Emerging Technologies workgroups. His specific areas of focus include the drive toward a better built environment, electric mobility and Distributed Energy Resource integration. 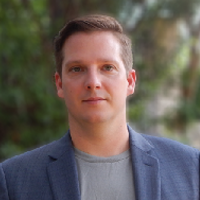 With over 15 years of experience with Austin Energy, his other roles have included interim Solar Program Manager, extensive work with electric vehicles and emerging technologies as well as utility strategy. 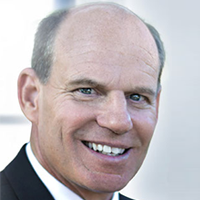 Stogdill’s educational background includes a Bachelor’s degree in Economics and a Master of Science in Science and Technology Commercialization, both from the University of Texas at Austin. Dr. Eric van Oort holds a PhD in Chemical Physics from the University of Amsterdam. He joined Royal Dutch Shell in 1991 and held a variety of senior technical and managerial roles over a 20-year period with Shell. He joined UT Austin in early 2012 to return to his passion for teaching and R&D as tenured Professor in Petroleum Engineering. Dr. van Oort is a co-Principal Investigator of the Offshore Energy Safety Institute (OESI), is the co-founder of two start-up companies (Genesis RTS and R5 Automation) and is CEO of his own consulting firm (EVO Energy Consulting). At UT Austin, he is the director of the RAPID consortium (on rig automation and performance improvement in drilling) and the new CODA consortium (on well construction, decommissioning & abandonment). He is an SPE Distinguished Lecturer, SPE Distinguished Member and winner of the 2017 SPE Drilling Engineering Award. 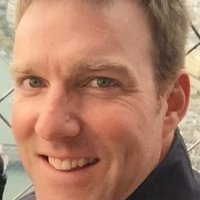 His areas of expertise include: complex well construction, drilling automation, big data analytics, real-time monitoring (RTM), drilling optimization, rock-fluid interactions and wellbore geomechanics, drilling fluid design, cementing and zonal isolation, hydraulic fracturing and associated water management. 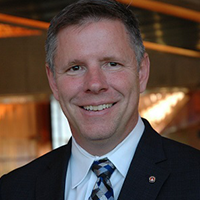 Jeruld (Jerry) Weiland is Managing Director at RMI, where he leads research and collaboration activities for the Transportation practice. He brings 30 years of global automotive industry experience in engineering, manufacturing, finance, planning, and program management – and joined RMI in May ’14. Jerry’s current practice focus areas include, Electric Vehicle Transformation – propulsion/light-weighting, Reinventing Fire-China Transportation, and Urban/Suburban Mobility Solutions. Prior to joining RMI in May 2014, Jerry spent 30 years with General Motors, largely engaged in its international operations. He worked extensively in all major operational disciplines and lived and worked 9 years in Europe (Sweden/Germany/Switzerland) and 3 years in Asia (China/Korea). Throughout his career Jerry has been engaged in global programs and operations, including the GM launch going into Sweden (Saab) in 1991, the lead team into China (GM/SAIC) in the early 1990’s (and working with GM China programs for over 20 years), as well as global programs with Australia, Korea, Eastern Europe, Latin America, and ASEAN. Jerry has perpetually found his way into leading innovative new technology, market, and business models including Urban Mobility, Youth Markets, the Internet (e-GM), Hydrogen Fuel Cell commercialization, and most recently Battery Electric Vehicles. 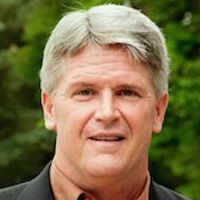 Skip Zahn has more than 30 years of experience in the electrical generation industry. He currently serves as the Chairman of the Board of Directors for the South Texas Project and the Vice President of Asset Management, Gulf Coast overseeing NRG’s diverse fossil and nuclear-fueled generation fleet in Texas, Louisiana, Mississippi and Florida. In addition, Skip serves as President of Carbon 360, NRG’s carbon capture business that includes the Petra Nova project at W. A. Parish coal plant, southwest of Houston. Prior to that, he served as Director of Origination responsible for structuring and selling products in the wholesale power markets. Prior to NRG, Skip served in various managerial roles including Director of Power and Gas Trading, Manager of Long-Term Planning and Asset Manager for Texas Genco LLP under the ownership of the Pacific Group, Kohlberg Kravis Roberts, Blackstone Group and Hellman & Friedman. He began his career with Houston Lighting and Power as a Journeyman Electrician and after earning a degree in electrical technology was responsible for training electrical, instrumentation and control technicians. Skip earned his Bachelors of Science in Business Management from LeTourneau University and is a graduate of the Rice University Jesse Jones Graduate School of Management.